Today is World MS Day, a day to take action, to celebrate, and to raise awareness, and a day of solidarity for those living around the world with Multiple Sclerosis. Century Cycles has joined Left Hand Brewing Company to form Team Left Hand / Century Cycles for this year's NEW Bike MS Buckeye Breakaway Ride, from Brunswick to Ashland, Ohio and back on August 1-2, 2015. Team Left Hand / Century Cycles is joining event sponsor The Winking Lizard Tavern to bring you a Movie Night and Silent Auction Fund-raiser event! The movie featured will be the workplace classic "Office Space." Admission is $15 for adults 21 and over, or $10 under 21, and includes beverages, appetizer bar, and the movie. 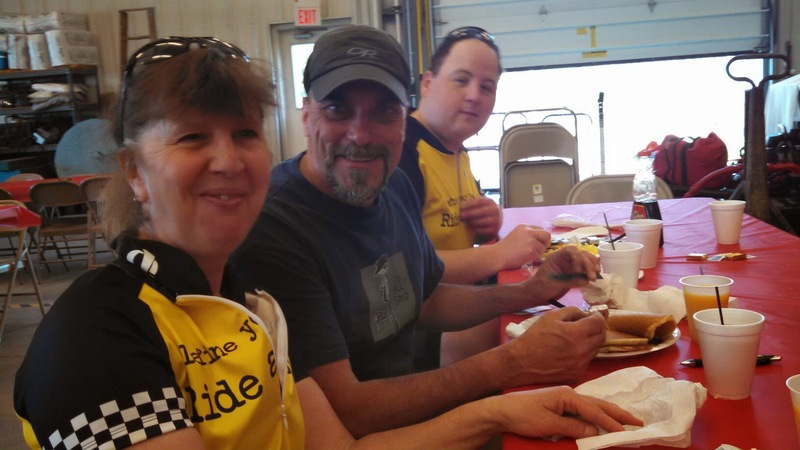 All proceeds from the Silent Auction will go towards the fund-raising efforts of Team Left Hand / Century Cycles for the Bike MS Buckeye Breakaway Ride! Items in the auction will include a tune-up service package from Century Cycles; cycling gear from event sponsors Primal Wear, Pearl Izumi, Tifosi Sunglasses, and more; Gift Cards from event sponsor Mountain Khakis; beer packages from Left Hand Brewing Company; and more! (Click here if the video above is not appearing for you). 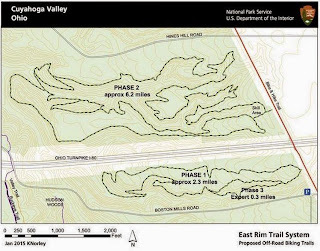 A month ago, the Cuyahoga Valley National Park announced that the National Park Service has awarded funding for the second phase of the East Rim off-road bicycle and hiking trail in the national park. 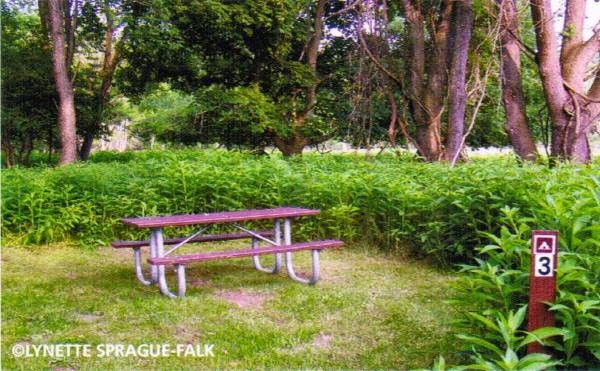 The National Park Service will contribute $183,400 of federal funds, and the Conservancy for Cuyahoga Valley National Park will match that with $198,700 provided through a grant from the John S. and James L. Knight Foundation for CVNP mountain bike trail development. This project is just one more way that the Conservancy for CVNP's TRAILS FOREVER Fund leverages support for our national park! This gift will go toward the 6-mile second phase of the trail. The first 2.3-mile phase is scheduled to begin construction this summer and is currently in the early stages of implementation. 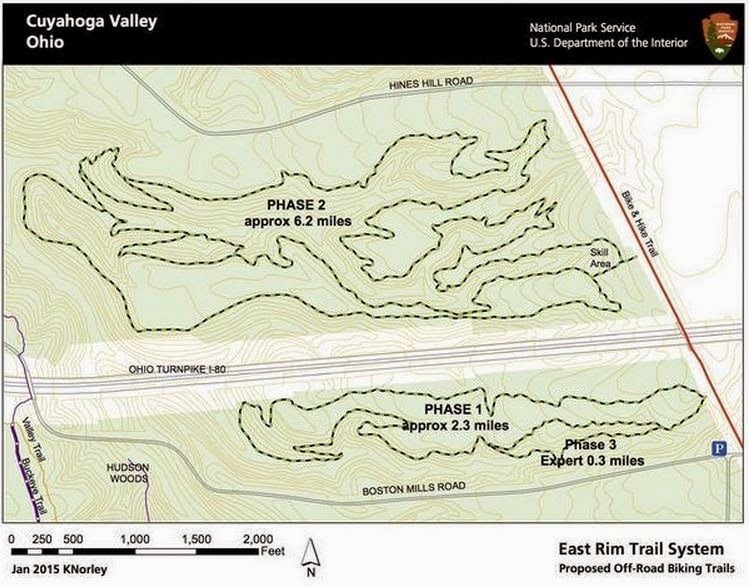 Together, these trails will form the first off-road biking trails in Cuyahoga Valley National Park. 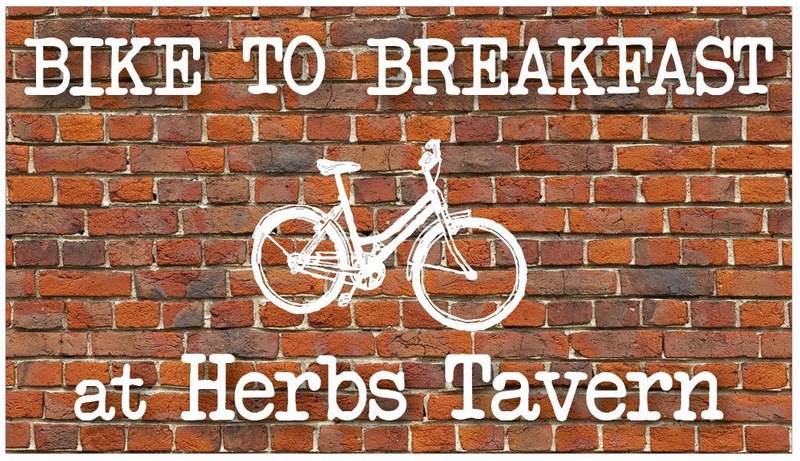 Ride your bicycle to Herb's Tavern of Rocky River for breakfast, Saturdays 8:00am-11:30am or Sundays 8:00am-1:00pm, May 16 through August 23, 2015, and enjoy 15% off your bill! 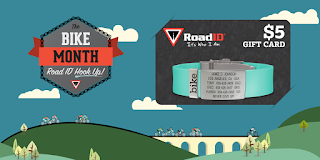 All participants may enter for a chance to win a Raleigh hybrid bike. Join us for the closing party and prize drawing on Sunday, August 23, 2015. 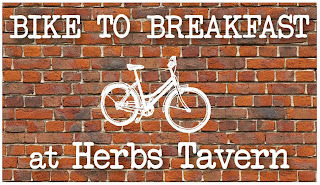 Herb's Tavern is located right next to the Century Cycles store in Rocky River at 19925 Detroit Road, Rocky River, Ohio 44116. Summit Metro Parks installs bike FixIt stations; 19 Action News coverage! 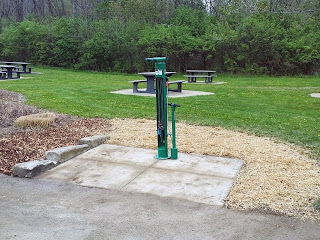 Summit Metro Parks has installed three Dero Bike FixIt stations along the Ohio & Erie Canal Towpath Trail and the Summit Metro Parks Bike & Hike Trail. The FixIt stations provide an air pump that works with both Presta and Schrader valves, and an assortment of tools for basic bike repairs, including tire levers, hex wrenches, and screwdrivers. The stations are located at the Memorial Parkway and Wilbeth road trailheads on the Towpath Trail, and the State Route 303 trailhead on the Bike & Hike Trail. Featured in the video is Doug's Salsa Cycles El Mariachi mountain bike (not to mention Kevin's Surly socks)! 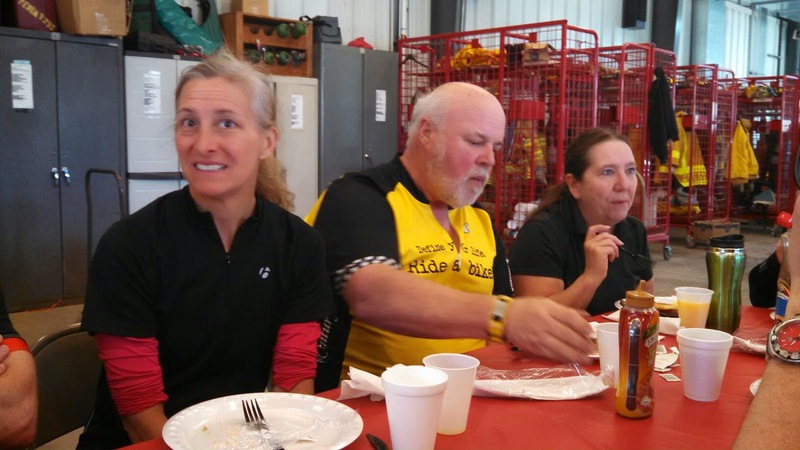 It appears that rainy conditions early this past Sunday morning scared many folks away, but ride leader Cathy reports that it cleared up soon after the ride started, making for a great ride for the four people who came to the Century Cycles store in Medina for the ride! 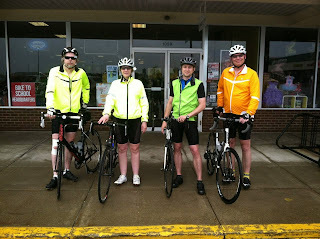 Also, don't forget about our training rides for Team Left Hand / Century Cycles Bike MS Buckeye Breakaway! 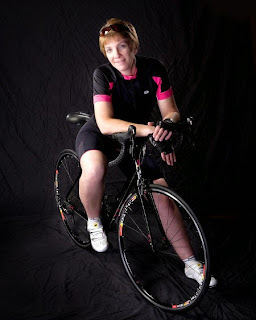 See www.centurycycles.com/for/BikeMS for the schedule! The Ohio & Erie Canal Towpath Trail will be temporarily closed, from Red Lock Trailhead (on Highland Road) to Boston Store (on Boston Mills Road), from 7:00am to 4:30pm on Monday, May 18 through Wednesday, May 20, 2015. The trail will be open evenings. No detour is provided. With mostly agreeable weather, the 8th annual Century Cycles Bike To School Challenge concludes its second week today (May 15! The Bike To School Challenge ends today at A.I. Root and Claggett Middle Schools and H.G. Blake Elementary School in Medina. The prize winners will be drawn at the school's assembly today at Blake, and on Tuesday, May 19 at Root and Claggett, with the grand prizes of two Raleigh Bicycles at all three schools! The challenge continues next week at Bay High School, Bay Middle School, and Westerly Elementary in Bay Village, and at Rocky River Middle School in Rocky River. 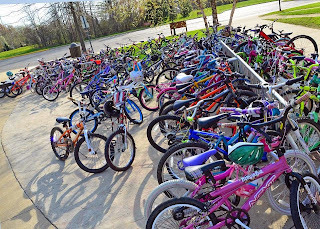 The first-ever Bike To School Challenge at Kensington Elementary School in Rocky River starts on May 18 and ends on May 21. Check out more photos from the Bike To School Challenge of the past two weeks! 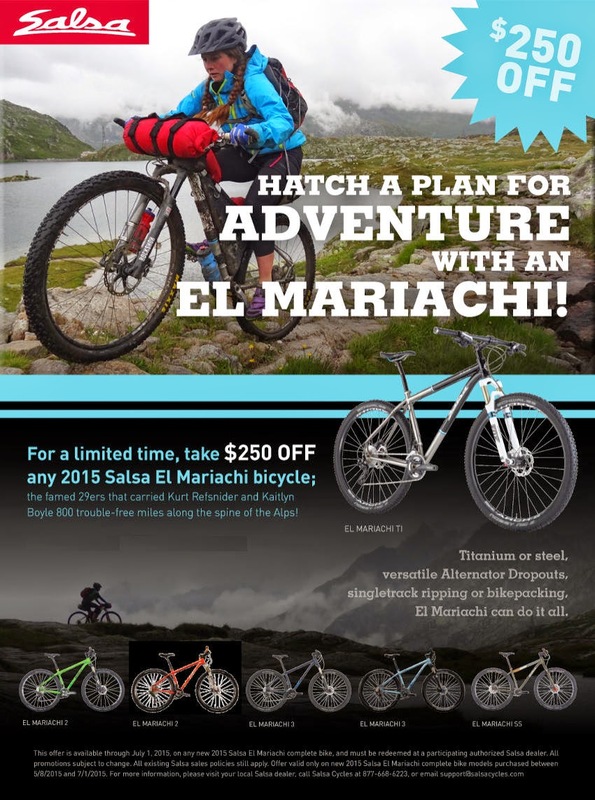 For a limited time, take $250 OFF any 2015 Salsa El Mariachi bicycle -- the famed 29er mountain bikes that carried Kurt Refsnider and Kaitlyn Boyle 800 trouble-free miles along the pine of the Alps! Titanium or steel, versatile Alternator Dropouts, singletrack ripping or bikepacking, the El Mariachi can do it all! We've got the Salsa El Mariachi 3 in stock (Medium or Large), or we can special-order the Salsa El Mariachi 2, Salsa El Mariachi Ti, or Salsa El Mariachi SS! 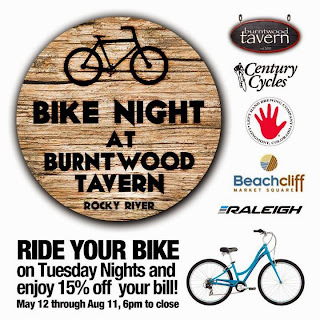 Bike Night at the Burntwood Tavern of Rocky River - starting TONIGHT! 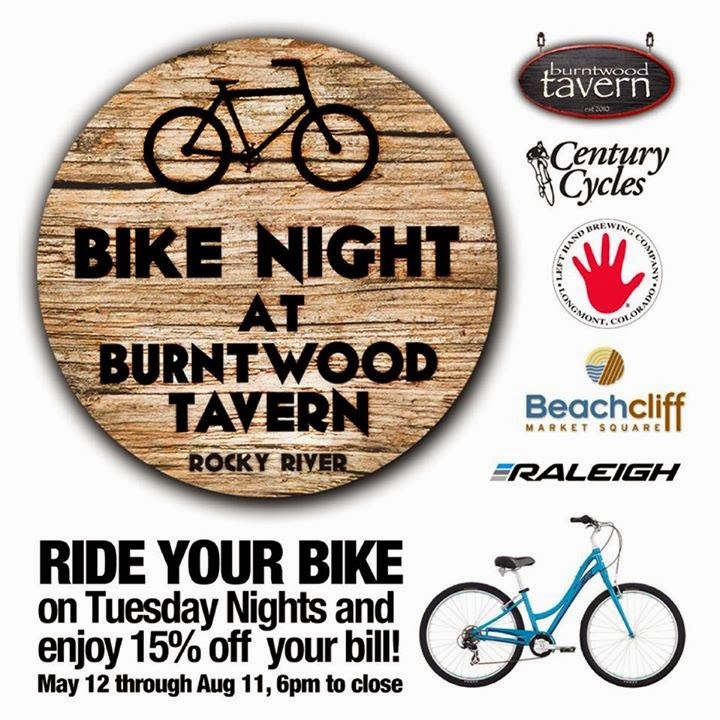 Ride your bicycle to The Burntwood Tavern of Rocky River on Tuesday nights, May 12 through August 11, 2015, and enjoy 15% off your bill! 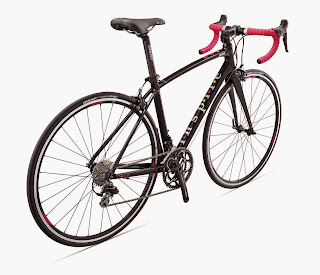 All participants may enter for a chance to win a Raleigh Circa 1 bike (valued at $500)! Join us for the closing party and prize drawing on Tuesday, August 11, 2015. Hurry! This offer ends this Friday, May 15, 2015! Cyclists understand the importance of drafting--the act of supporting a fellow rider by cutting through the wind in front of them so they face less resistance. When riders work together by sharing their draft, they help each other and become a much more effective team. Drafting creates value through cooperation. That value of working together to make riding a bike easier, safer, and more accessible (and of course fun!) exemplifies what Bike Cleveland has been doing over the past three years. 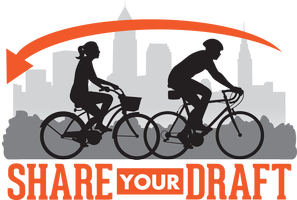 We hope you will work together with Bike Cleveland by joining them at their "Share Your Draft" event. Enjoy a variety of local drafts (the beer kind) and appetizers while learning how you can help Bike Cleveland continue to build a powerful movement for safer streets. Additionally, Share Your Draft is a great opportunity for you to get caught up on our great projects underway that make riding a bike easier and more fun for people of all ages and abilities. Share Your Draft will feature local hors d’oeuvres prepared by Fresh Fork Market, and draft beer from local breweries, including Brick+Barrel, The Cleveland Brewery, and Platform Beer Company. 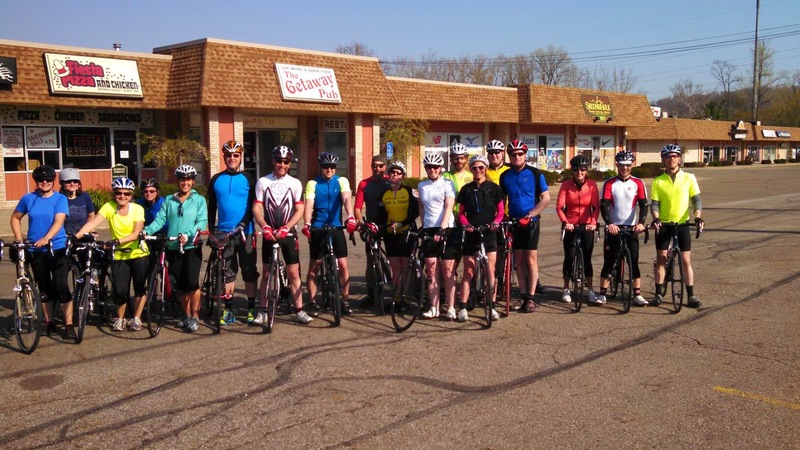 Thanks to New Day Cleveland, the morning infotainment program on Fox 8 WJW, for visiting the Century Cycles store in Rocky River last month! 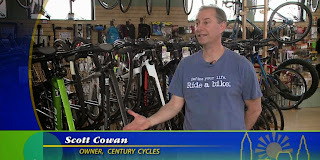 They spoke to Century Cycles Owner Scott Cowan, who talked about different kinds of bicycles, biking opportunities in Northeast Ohio, and recommended bike maintenance. People for Bikes was launched in 1999 as Bikes Belong. It includes both an industry coalition of bicycling suppliers and retailers, as well as a charitable foundation, with the goal of making bicycling better for everyone. The group is also administering the National Bike Challenge in 2015. 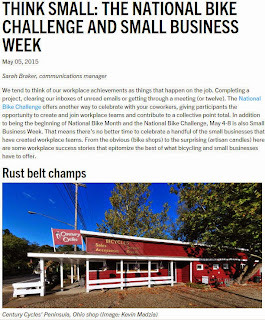 To promote the Challenge, and how participating can benefit small businesses, People for Bikes highlighted four businesses for an article on their blog, one of which was Century Cycles. Click here to read the full article, where Sarah Braker, Communications Manager of People for Bikes, tells the rest of the world about the friendly rivalry between Cleveland and Pittsburgh in the Rust Belt Battle of the Bikes, and how we're working with Bike Cleveland to keep the Rust Cup in Northeast Ohio this year by riding our bikes more than the folks from Bike Pittsburgh! As the city of Hudson, Ohio nears the completion of its Comprehensive Plan, the City would like to hear from you. Join AMATS and the City of Hudson, in conjunction with the Akron Metropolitan Area Transportation Study (AMATS) for an 8-mile bike ride around Hudson followed by a brainstorm session to discuss your ideas which will help us shape Hudson’s future! The event is free and open to the public, but space is limited and pre-registration is required. Click here to register! Beginning this Sunday, May 10, 2015, the Century Cycles store in Peninsula will begin our Extended Summer Hours. This means that we will be open an extra three hours on Sundays. This gives our customers more time to enjoy our Towpath Trail bike rental service, especially those using the Cuyahoga Valley Scenic Railroad's Bike Aboard service. Thanks to the 19 riders who came out for this morning's Sunday Service Group Road Bike Ride in Peninsula! 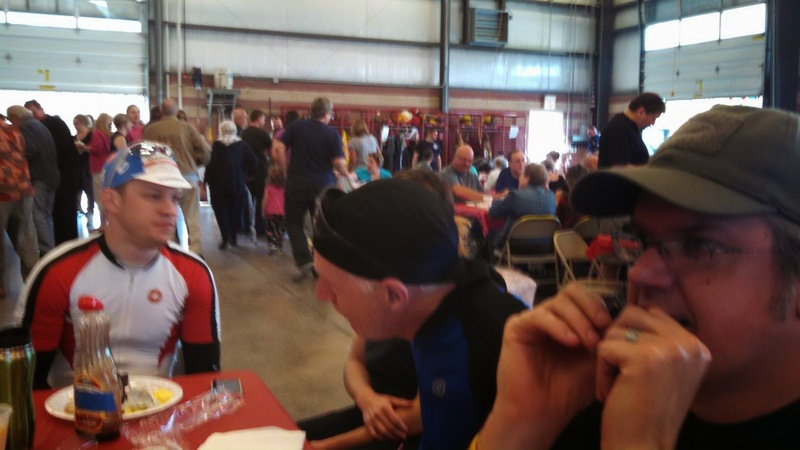 And thanks to Valley Fire District for the great pancake breakfast afterwards! 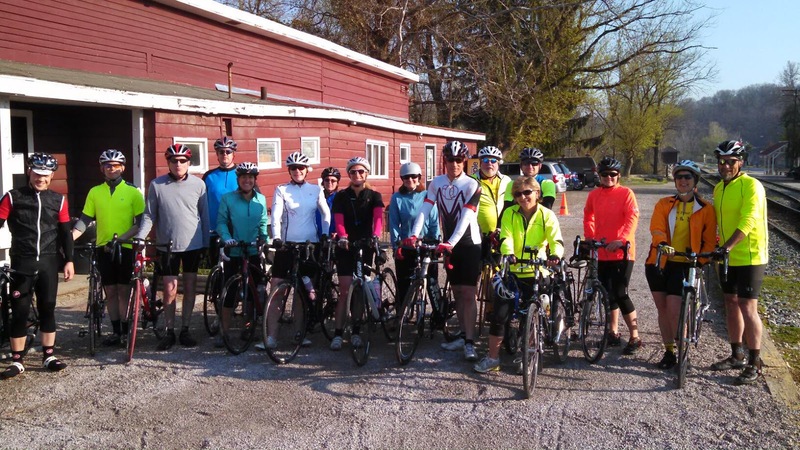 Our next Sunday Service Group Road Bike Ride is May 10 at 8:00am in Rocky River, then May 17 at 8:00am in Medina. Go to www.centurycycles.com/for/SundayService for the full schedule! 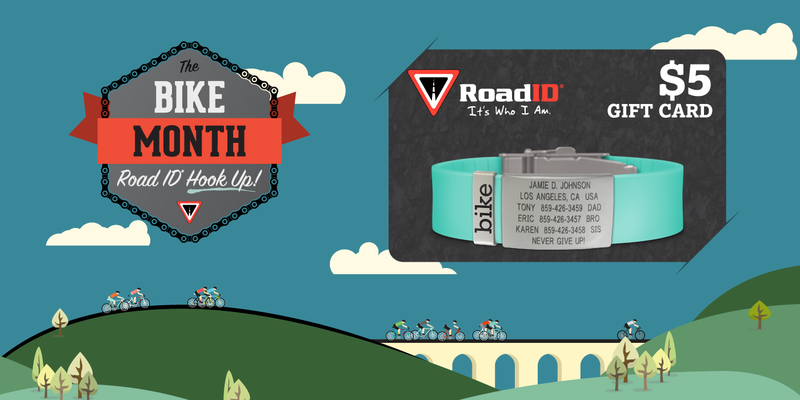 May is National Bike Month! There's no shortage of rides, celebrations, and other bike activities here in Northeast Ohio! 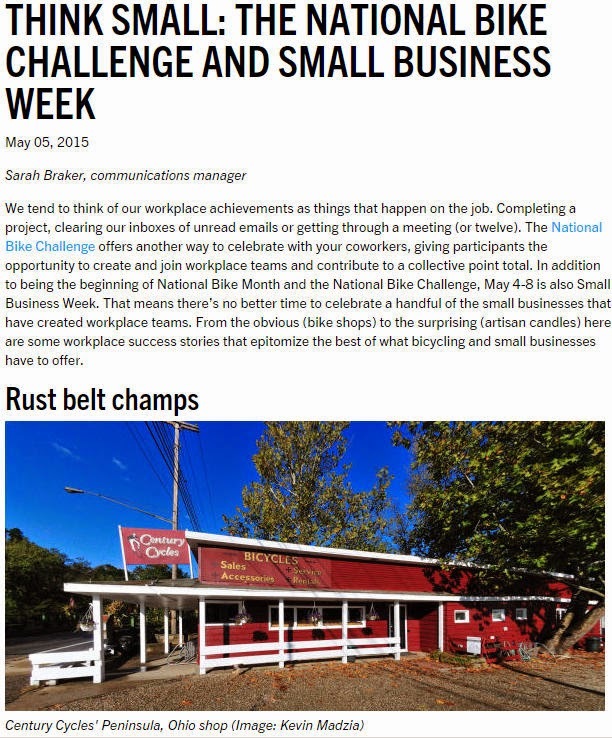 May 1 - Sign up for the National Bike Challenge and help us beat Pittsburgh and keep the Rust Cup in Cleveland in 2015! 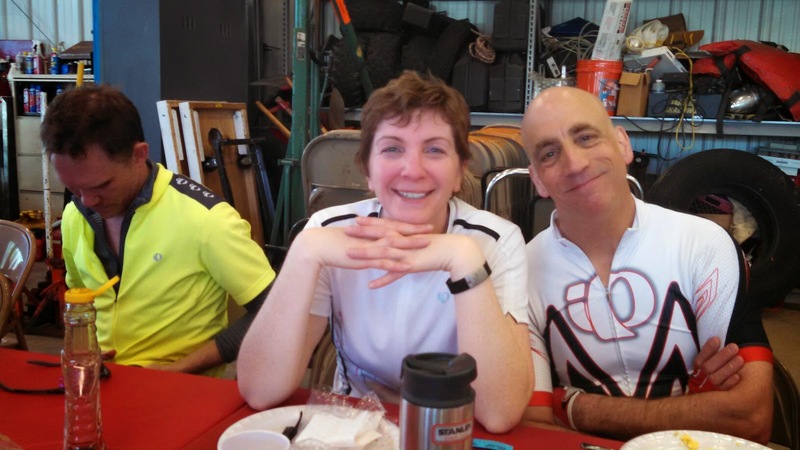 Join a team (like Century Cycles) and also log miles for your workplace. And that's only the events that Century Cycles is organizing or promoting! Check out the Bike Cleveland events calendar and other local clubs for rides, parties, and more!